SumOfUs is a global consumer group that exists to curb the growing power of big corporations. Launched in 2011 we use the power of online tools to run campaigns that mobilize millions of people to take action to make social change. Our community is made up of a dedicated staff team who coordinate campaigns with our millions of members around the world. SumOfUs is registered as a 501(c)4 social welfare nonprofit incorporated in the United States of America. It’s super easy to donate to SumOfUs. Just visit: https://actions.sumofus.org/a/donate. We accept Visa, MasterCard, Discover, JCB, American Express, or Paypal. If you live in Europe you can also set up your recurring donation via Direct Debit. Our donations page assumes you wish to make a one-off donation – if you wish to make a recurring donation you will need to check this option when making your donation. What happens if I change my mind about my donation? I made a mistake with my monthly donation! How can I change or edit my donation? If you created an account, you can login at our members’ management portal at members.sumofus.org. Make sure to use the same email that you use when you receive emails and take action with SumOfUs. There, you can delete any payment method you no longer want associated with your account. To save a new payment method to your account, you’ll need to go to https://actions.sumofus.org/a/donate and make a donation (it can be as small as $1!) and opt to save your payment information. Alternatively, contact our Member Services team at info@sumofus.org who can make edits for you. Are my donations to SumOfUs tax deductible or eligible for schemes like UK gift aid? As a 501(c)4 organisation, small donations (under $1,000) aren’t tax deductible or eligible for schemes like the UK’s Gift Aid. For more information on tax deductibility where you live, please contact your local tax authorities. If you are domiciled in the United States we can take tax-deductible contributions over $1,000. Please send us a message for more information about this option. Do you accept direct bank transfers? At present, we accept AUD, CAD, EUR, GBP, NZD and USD for Visa, Mastercard, and American Express donations. We accept donations made in any currency via Paypal. Do you accept donations by telephone? Can I donate via Paypal? We accept Visa, Mastercard, Discover, JCB, and American Express from most global banks. Following a lot of feedback from members, we have decided to not send a receipt for your donation as standard. However, if you would like to receive a receipt or an acknowledgment of your donation, please contact us at donations@sumofus.org. What is a CVV number and why are you asking for it? SumOfUs is a registered 501(c)4 social welfare nonprofit incorporated in the District of Columbia, United States. We’re also registered in the states of California and New York in the United States and have branches in the United Kingdom and Ireland. What is a 501(c)4 nonprofit? A 501(c)4 organisation is a type of tax-exempt nonprofit organization in the United States. In the US both 501(c)3s and 501(c)4s are qualified as tax-exempt organizations under tax law. However (c)3 organizations may only do charitable work (as defined by the tax authorities) while c(4)s can also engage in lobbying of public officials and work with trade unions, which is a key part of our work challenging corporate power. Because we are not a 501(c)3, contributions to SumOfUs are not tax deductible. Yes. SumOfUs is regularly audited by Lederer, Levine & Associates, LLC, an independent accounting firm based in the United States. We have always received what is called a “clean opinion,” namely that no irregularities have ever been found and that we follow all relevant accounting rules and procedures. SumOfUs doesn’t accept any contributions from governments or corporations: we are mainly funded by people like you. We are also funded by a small number of foundations and trusts. Please see this chart for more detail on the proportion of grants to independent small online donations. Our goal is to be increasingly funded primarily by small individual contributions. This funding model means we are able to stay independent, keep pressure on governments and corporations, and respond quickly to crisis situations. Below is a breakdown of how we spend our money. We are a very lean organization and staff so we minimize overheads and spend the vast majority of our money on running campaigns. What happens when you raise more money than you need for a given campaign? Our members are extremely generous with their donations and we sometimes raise more money than we need for a particular action or request. 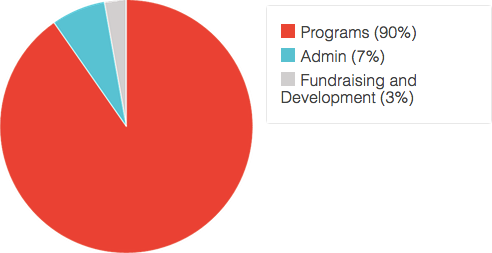 In this circumstance, any additional money is used to fund a range of core program activities at SumOfUs, such as our staff and the technology that allows us to run and win our campaigns. We operate a no-questions-asked refund policy for any member that wishes to withdraw their donation. How are you protecting my data? How do you use my credit/debit card details? When you contribute to SumOfUs online, we collect credit card information from you. That information is used solely for processing your contribution, it is not stored by SumOfUs; and is never disclosed to anyone, for any purpose other than for processing your contribution. When contributing through an express donation, your card details are stored by our payment provider, Braintree Payments (owned by Paypal), who places a huge emphasis on security and handles billions of dollars in payments every year. Read more about how Braintree secures your data here. I want to change my contact details, email address or postal address but I cannot find a way to login to your site and do it - can you help? It is not possible for you to login to our site yourself and change/edit your contact details. Please send us a message with the information you’d like to change and we’ll do the rest. We only send emails to people that have taken actions on our website. If you’d rather not receive emails from us you can unsubscribe at any time here. What are you currently campaigning on? You can see what our current campaigns are by visiting our Campaigns page. How do I remove my name from a petition? It’s really easy to remove your signature from a petition. Please send us a message and we’ll remove your name quickly. Where can I send a suggestion for a campaign? Please send campaign ideas to us by sending us a message. I have information I’d like to share with the team about a campaign, how do I do that? If you have information you’d like to share with the staff team you can by sending us a message. Do you send updates on a campaign? Where can I find this information? We do periodically send updates on campaigns when there is a new development and we try to send a ‘what we’ve been up to’ email twice a year to let you know about any campaign wins or developments that you may have missed. I have a complaint about a campaign - how do I get in touch? If you would like to contact us and make a complaint about any aspect of a campaign you can get in touch by sending us a message. SumOfUs employs 35 people in 11 different countries.To find out more about our staff team please visit our Who we are page. Can I work for you? Are you recruiting? We are always on the lookout for talented people in a range of specialties. Please visit our Jobs page to see our latest vacancies.